Description: As we become more aware of the levels of toxins in our environment we are realizing that the quality of air inside our homes is just as important as the quality of air outside our homes. This course provides an overview as to why indoor air quality is so important to our health and how to improve indoor air quality by using a balanced ventilation system. 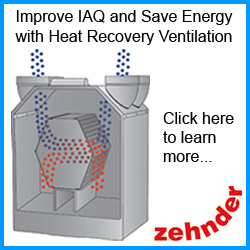 You need to be logged in to download the course materials for Healthy IAQ in Energy Efficient Buildings.